Whether you’re looking for an art gallery, a museum, the chance to take in a concert or a spend a night at the theater, San Diego has a wide variety of venues to help satisfy your cultural side. Balboa Park 1549 El Prado, San Diego, CA 92101 Balboa Park is the nation's largest urban cultural park. Home to 15 major museums, renowned performing arts venues, beautiful gardens and the San Diego Zoo, the Park has a rotating calendar of museum exhibitions, plays, musicals, concerts, and classes. Balboa Theatre 868 4th Avenue, San Diego, CA 92101 Built in 1924, the historic Balboa Theatre was an elegant vaudeville and movie palace in the heart of downtown San Diego. Completely restored in 2008, the Balboa Theatre is home to concerts, musical theater and more. CNN recently named it as one of the world’s top 15 most spectacular theaters. Civic Theatre 1100 Third Avenue, San Diego, CA The San Diego Civic Theatre hosts some of the world’s finest in the fields of opera, classical music, dance, comedy, contemporary music and Broadway. The Civic Theatre’s primary producers and presenters include the San Diego Opera, Broadway/San Diego, La Jolla Music Society, and California Ballet. La Jolla Playhouse 2910 La Jolla Village Drive, La Jolla CA, 92037 La Jolla Playhouse is a professional non-profit theatre located in La Jolla. The Playhouse has received more than 300 awards for theatre excellence, including the 1993 Tony Award as America's Outstanding Regional Theatre. Scores of Playhouse productions have moved on to Broadway. Museum of Contemporary Art San Diego 700 Prospect Street, La Jolla, CA 92037 The Museum of Contemporary Art San Diego (MCASD) is the region’s foremost forum devoted to the exploration and presentation of the art of our time. 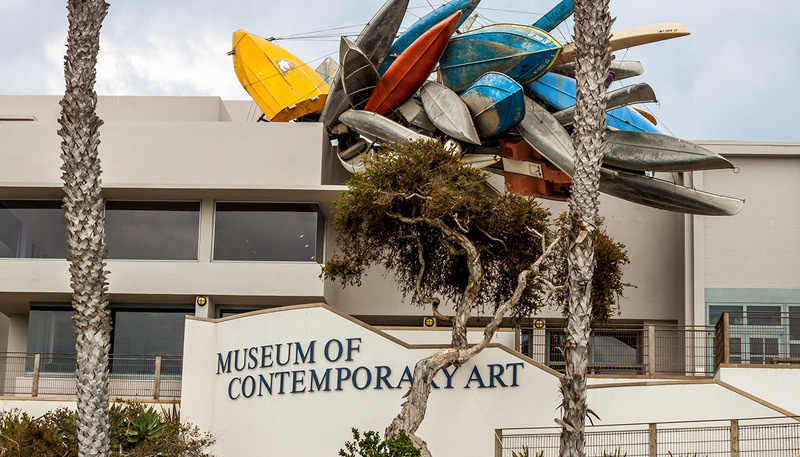 Just a few minutes from Pantai Inn, MCASD provides a variety of exhibitions and experiences, showcasing an internationally recognized collection. Old Town San Diego 4002 Wallace Street, San Diego, CA 92110 Featuring 12 acres of Mexican lore and historical sites, colorful shops, early-California-style restaurants, museums and a theater, Old Town San Diego marks the site of the first Spanish settlement on the U.S. West Coast and is considered to be the birthplace of California.